Communication means transferring messages from one to another through any medium. There are various levels in communication like Intrapersonal communication, Interpersonal communication, Group communication and Mass communication. Mass communication plays the vital role because it reaches very large number of audience. 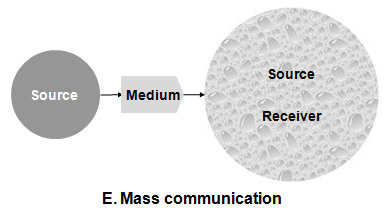 Basically Mass communication has two forms one is Interpersonal communication and another one is media communication. Intrapersonal communication is a communication which happens yourself. 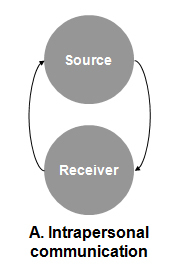 Here both Source (sender) and receiver is only one. so, the feedback works without any interruption. Example: A person can communicate himself through pain, thinking, feelings and emotion etc. 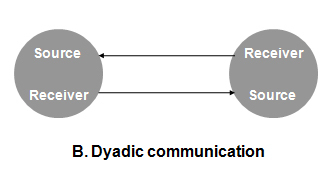 In Dyadic communication, two persons are involved in this communication process. 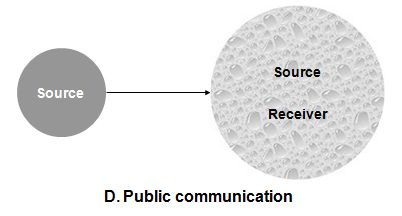 Here the Source becomes a receiver and receiver become Source because of dynamic communication process were the feedback’s are shared between Source and the receiver. More than two members involved in communication process will become a group communication. If least number of persons is involved in the group communication is called as small group communication. In this communication process, everyone becomes a Source as well as receiver through sharing information and gives feedback to another. In public communication, Source or messages from a single person will reach or received by huge number of audience. 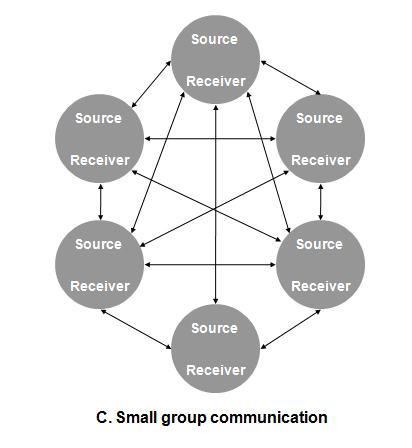 But in this communication there is no mutual feedbacks between source and receiver like small group communication and it’s only focused on Speaker. In mass communication, basically have a large number of audience and they are all can’t grouped together in one place so we need certain tool or technology for communication process. But in mass communication, there is no direct access with receiver. So, for that they need media like newspaper, radio, television and internet. Here the audience feedback is very less or delayed. thanks for describe it. its really good to read and understand. however, maybe add by case on each point. thank you so much. =) helped a lot!! you have added something important in my masters studies in Masscommunicati. I thought they were horizontal,vertical,diagonal and intrapersonal despite of the given above. i like the simplicity . thanks has helped so much in searching information. Thanks is to study & l understanding to simply. I would to live this questions : what is the importance of intra-personal communication in development of interpersonal communication, small group, public communication?